Next week I will complete one of my New Year’s Resolutions — to self-publish my novel Palace of the Blue Butterfly, to put it out to the universe, so to speak. In my mind’s eye, I can still see exactly where I was when I wrote the first words of what would become that book. Really, they were more like questions than anything else. 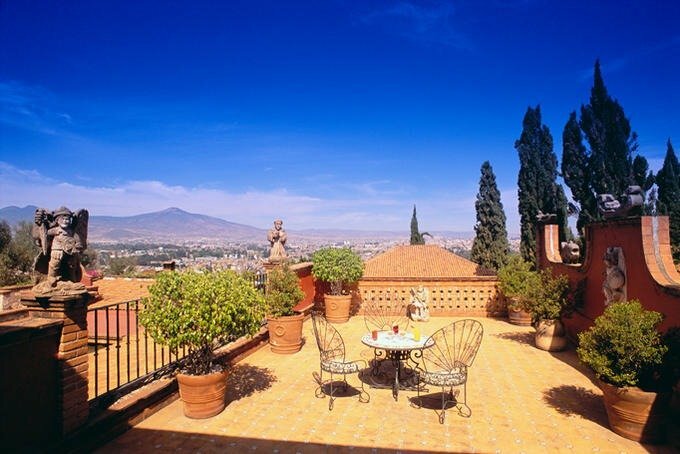 I was sitting on my private terrace in the Villa Montana in Morelia, Michoacan The waiter had taken away my lunch dishes — a lovely fruit platter, a sopa Tarasca, and a basket of warm bolillos. I picked up my black leather-bound notebook, and with the thin point pen I always use, I wrote Who is Vivienne? Why does she live in Mexico City? What has happened to her? I always thought I’d play by the rules and stick with the traditional route: write queries, wait patiently, get an agent if I’m lucky (I was), submit it to a publishing house and so on and so on and so on. And then, I reached a certain age (Ladies, can I hear an AMEN!?!) when playing by the rules didn’t interest me so much. Ditto people’s approval. Enough already. It was one advantage of the economy tanking. I was forced to be more courageous. Weren’t we all? Look, I figure everything I have in life comes from the fact that some woman somewhere did something untraditional, something she wasn’t supposed to do: fight for the vote, form a Union, demand the right to own property, sit in the front of the bus, play male sports and even insist that her husband do half the blipping housework. I guess this blog, this audio version of Palace of the Blue Butterfly is what freedom looks like. If you think I’m not the least bit scared, you’d be wrong. But if being scared is stopping you from doing something you really want to do, don’t let it. I’ll tell you a little story about the next picture . . . 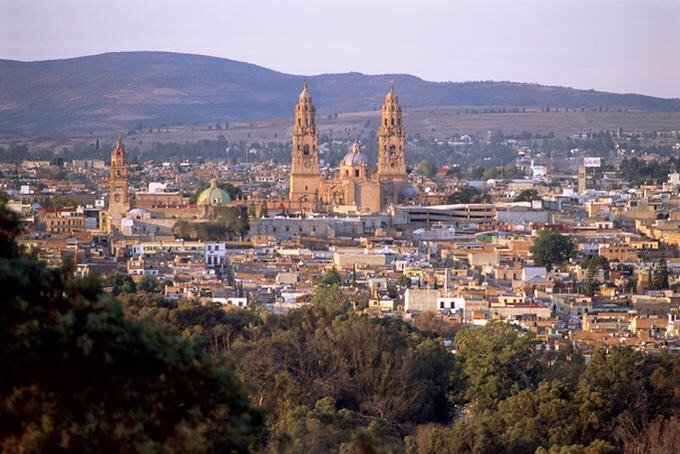 This beautiful city — sort of like a hill town in Italy — is Morelia, Michoacan. Anyone have any idea what’s going on there? Actually, many friends of mine live there, and they see nothing of the drug violence. Still, much of Michaocan is in the grips of a Drug Cartel called La Familia. Gentle readers, I listened to that advice as if it came from on high. The good thing is I wrote my second novel, which you will hear next week. The bad thing? Well, I don’t know if there was a bad thing. Why? Because I learned, and I’m passing that knowledge off to you. I don’t know how that cautionary tale of yielding too quickly to authority may apply to your life, but if it does, you’ll know what I mean. Listen to your own truth. When the student is ready, as the Buddhists say, the teacher will appear. Who knew my teacher(s) would be these two guys? If you are thinking about self-publishing a book or you live anywhere near San Francisco, you probably know about them. Well, if you’re my age, maybe not. Scott and Seth are two publishing phenoms who got book contracts through their podcasting endeavors. They are adorable, charming and sooooo smart. So smart. (See the mother hen in me appear!) They also happen to be very good writers. But so are a lot of unpublished writers. Including me. And that’s not just my humble opinion. That’s what editors at Bantam and Little Brown, Mysterious Press, and St. Martin’s said about my first novel—Mexican Book of the Dead. “Sophisticated and stylish writer!” “Strong original voice!” “I can see why you are excited about this writer!” they wrote my agent, and so on . . . Sorry. They just didn’t know what shelf to put the book on, and besides, the setting—Mexico— would not reach a large enough audience to meet their marketing goals. Undaunted, I wrote another novel—Palace of the Blue Butterfly— which I’ve talked about on my blogs. Got another agent. Edited, re-edited and re-re-edited the book, and then the economy fell off a cliff. AIG, Lehman Brothers, Bank of America remember them? Trust me, there was no debut novel in America, mine included, that was TOO BIG TO FAIL. 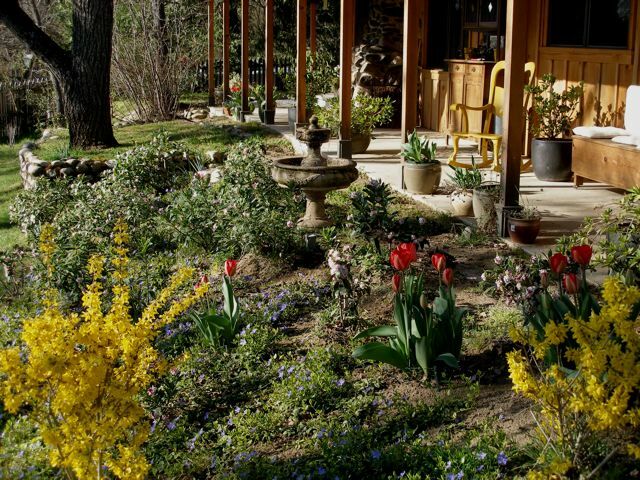 At least I had already moved to the ranch, at least I was growing my own food, and my water came from my own well. There were horses in the meadow, cattle in the pasture, and fragrant Winter Daphne bloomed by my porch. Life was good. I put the books in boxes and told myself, ”You can’t always do everything you hope to in life.” Basically, I tried to forget about it. But I couldn’t. I thought about self-publishing a paperback book, but well . . .no. If whole publishing houses in New York were collapsing, what chance did I have? 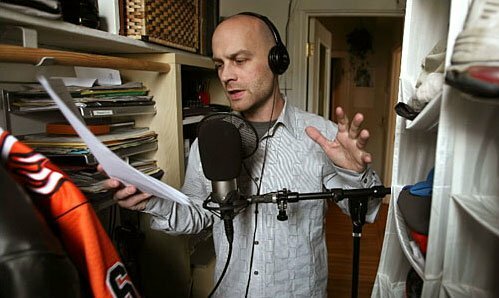 And then I read about Scott Sigler and Seth Harwood in Pat Holt’s blog— Holt Uncensored— in the San Francisco Chronicle. The very same day, I walked down to my mailbox across from the horse pasture, and there was my catalogue for Stanford University’s Continuing Education courses. BAM. There it was! 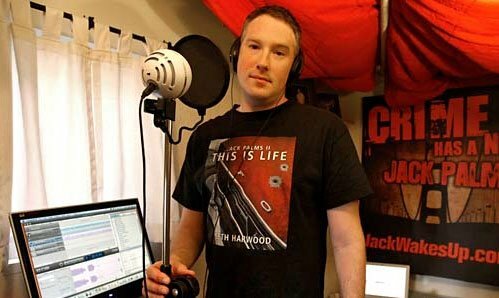 PODCASTING YOUR NOVEL: AUTHOR BOOT CAMP with SETH HARWOOD and SCOTT SIGLER. Not on-line, but so what? I signed up with Dave, and the adventure began. Seth or Scott actually posted a picture of Dave and me, sitting there in the first row of their class. In the photo, I look studious while Dave stares hard at the laptop. Had there been a little caption bubble over our heads, it would have read “What the @#&* is Feedburner?” Also Garageband, itunes, Mp3, GoDaddy, RSS, LybSyn. I mean, I didn’t even know what E-Blogger was or WordPress. How far I’ve come. And these two young men helped get me there. If you’re looking for an eye-opening experience, take the Author Boot Camp class with them. Even if you are not a writer, your life will be richer knowing all the possibilities out there. Don’t be scared of how techno-savvy and sci-fi or crime-writerly they are if that’s not your thing. These are really, really talented people, and they are changing the world as we know it. Do yourself a favor. Go along for the ride. Anyway, as you all know, one of my goals for the year is to self-publish my book. I’m going to follow Seth and Scott’s path. I’m going to put Palace of the Blue Butterfly up on my website as a free audio book for you. My progress so far? Episode one is recorded and edited. With all the other chores around here, the first episode took about a week to complete. I made a recording of the first chapter, but when I played it back, there was too much echo. (Ah, the old NPR days came back to me.) 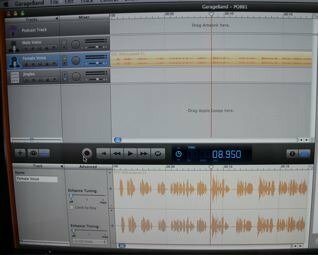 Still, I practiced editing on Garageband. Woo-hoo. Garageband! ME! Next, I turned the guest bedroom into a Recording Studio. I piled quilts and blankets on the hard surfaces, put my H2Zoom microphone on the bed with the duvet, built big mounds of pillows around me and read my first chapter. It sounded great. According to Scott and Seth, I should have at least four to seven episodes recorded and stored on Lybsyn before I post them on my blog. That way, if there are any snafus, it doesn’t spoil the story for you all. Wish me luck. I’d love to hear from others who are doing this. Really. I’m stepping into uncharted waters for me. But remember what I said about taking leaps and risks and having faith last time? Well, here I go.